One-level living! Elegant, custom-built brick home in Stoney Ridge. 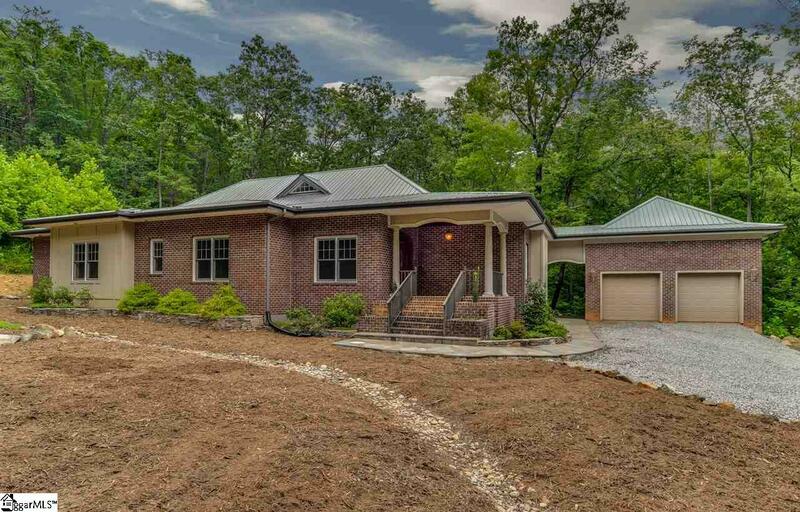 Low-maintenance home situated on 5 acres in an upscale neighborhood. Stunning cathedral ceilings w/ stone fireplace in great room with desirable open floorplan. Spacious kitchen w/granite, bar, gas stove & pantry. Generator and energy efficient superior walls. Large bedrooms with en-suite baths. Enjoy nature and the mountains from the sunroom or screened porch. Minutes to Tryon.